On December 13, 2016, National Endowment for the Arts Chairman Jane Chu has approved more than $30 million in grants as part of the NEA’s first major funding announcement for fiscal year 2017. 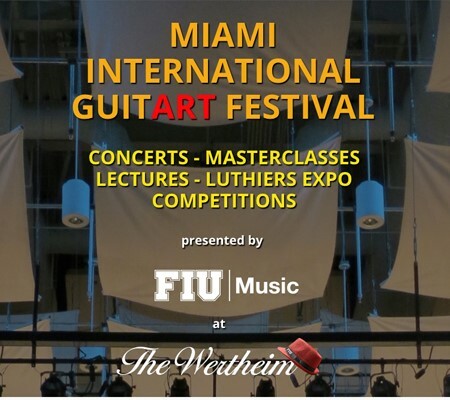 Included in this announcement is an Art Works grant of $15,000 to FIU School of Music for the Miami International GuitART Festival. The Art Works category focuses on the creation of art that meets the highest standards of excellence, public engagement with diverse and excellent art, lifelong learning in the arts, and the strengthening of communities through the arts. The MIGF will be awarded a $15,000 grant from the NEA, as part of its Art Works program. One of the conditions of the grant is to find funds to match NEA’s commitment. Once we have raised the matching funds, the MIGF will present world-class artists from Cuba and all around the world, including the Havana Guitar Orchestra, as well as a tribute concert to the legendary Cuban composer Leo Brouwer in February 2018. Make a Donation and help us match the NEA Art Works Grant!